WASHINGTON — U.S. 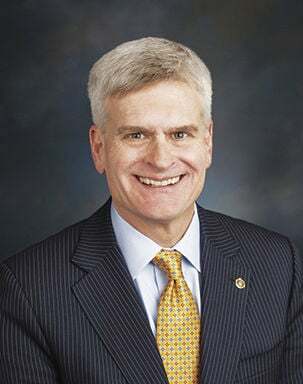 Senators Bill Cassidy, M.D. 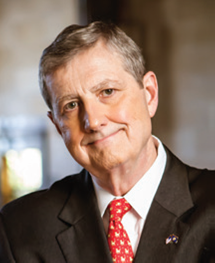 (R-LA), Marco Rubio (R-FL), and John Kennedy (R-LA), today reintroduced the Small Scale LNG Access Act, legislation expediting the approval of natural gas exports equal to or less than 51.1 billion cubic feet per year. These small-scale exports would be deemed consistent with the public interest and granted without modification or delay. Last year, the U.S. Department of Energy (DOE) finalized a rule to expedite the approval of small-scale exports of natural gas. This rule will primarily service consumers in small-scale natural gas export markets in the Caribbean, Central America, and South America. The legislation introduced by Cassidy, Rubio and Kennedy would codify the DOE’s rule and ensure long-term stability for investment. Cassidy and Rubio introduced this legislation last Congress and it passed the Senate Energy and Natural Resources Committee by a vote of 13-10. The Caribbean small-scale LNG export market represents a relatively untapped outlet; the United States only exported approximately 7.5 billion cubic feet of natural gas to the region in 2018. Increasing exports of U.S. liquefied natural gas (LNG) will decrease Caribbean and Central American reliance on Venezuelan fuel oil, increase economic opportunities, and offer a cleaner-burning fuel source for those nations. The United States is well positioned to meet the anticipated four to five percent annual growth in global natural gas demand. According to the Energy Information Administration, the U.S. has an estimated 2,462 trillion cubic feet of technically recoverable natural gas, enough to last an estimated 90 years at 2016 consumption rates. The current permitting process for LNG export facilities is expensive, and small-scale projects often are not cost effective under current conditions. Reducing the time and investment required for small-scale exports will benefit U.S. production, manufacturing, and construction jobs while also reducing trade deficits with the importing country. Increasing LNG exports, even on a small scale, will positively impact the economies of the United States as well as the economies of those receiving U.S. natural gas. U.S. Representative Ted Yoho (R-FL) is leading companion legislation in the House.